Warm, humid, and away from sunlight—the normal condition of a basement might be the perfect environment for mold to grow. Mold in basement has been a seasonal problem. It usually occurs after winter, when the temperature rises, and mold spores are starting to float, finding their new homes. There are many factors that can cause a moldy basement. If you notice a musty smell in basement, immediately look for the source as it may be where the mold grows. Once you find it, clean the area and fix the cause to prevent the mold from growing back. 1. What Is the Cause? The main cause of the mold in basement is the humidity of the room. Humidity problem can be triggered by leaky water pipes, poor ventilation, and condensation. While leaky water pipe is the least common problem, condensation is something that is hard to avoid especially in between cold and warm season. Condensation happens when the warm air inside the basement is in contact with the colder temperature from the outside. Condensed water may be produced on the wall and raise the dampness in the room. With the right amount of humidity and temperature, mold in basement is most likely to develop rapidly. If you have seen different colonies of mold before, you would notice that there are several common colors of mold. The colors determine its species and would also give you the information about which mold cleaner to use. Some mold species are reluctant to specific types of cleaner, making it harder to get rid of. Black mold in basement may indicate the species from Stachybotrys or Cladosporium genus. It has dark grey to black color and feels slimy when touched. This type of mold is highly allergenic so you better be careful when being in contact with it. If you notice a lighter grey or white color on the mold patches, it may be Aspergillus or Fusarium molds. The texture is rather fuzzy and may look as if it has soft velvety fur covering the patch. 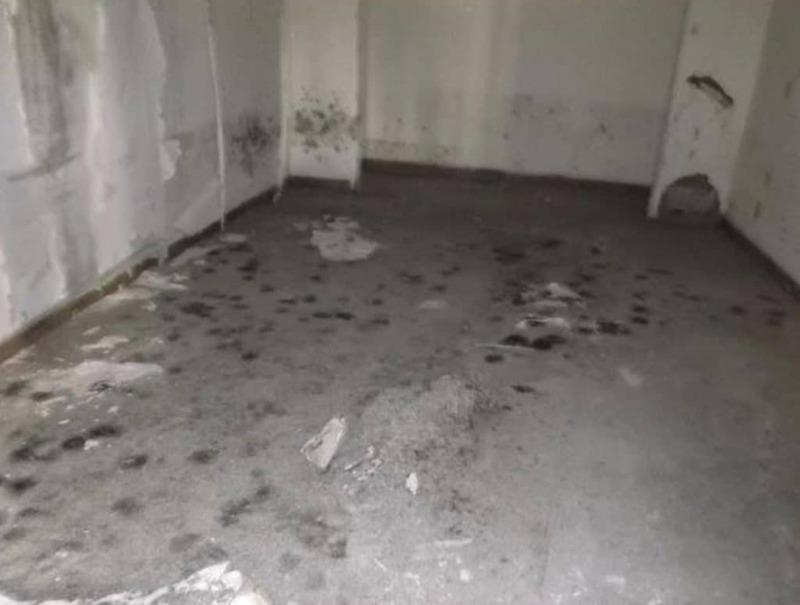 These types of white mold in basement have a circular pattern of growth, different from the black mold which grows following the pattern of the most humid part of the area. Taking a closer look at the types of mold is necessary so that you know what treatment to get. However, always protect yourself using a mask and a pair of hand gloves. Some mold can be harmful to the body as it can be inhaled and live on your body system instead. In short term, it would create health problems like allergy and lung infection. 3. How to Get Rid of It? 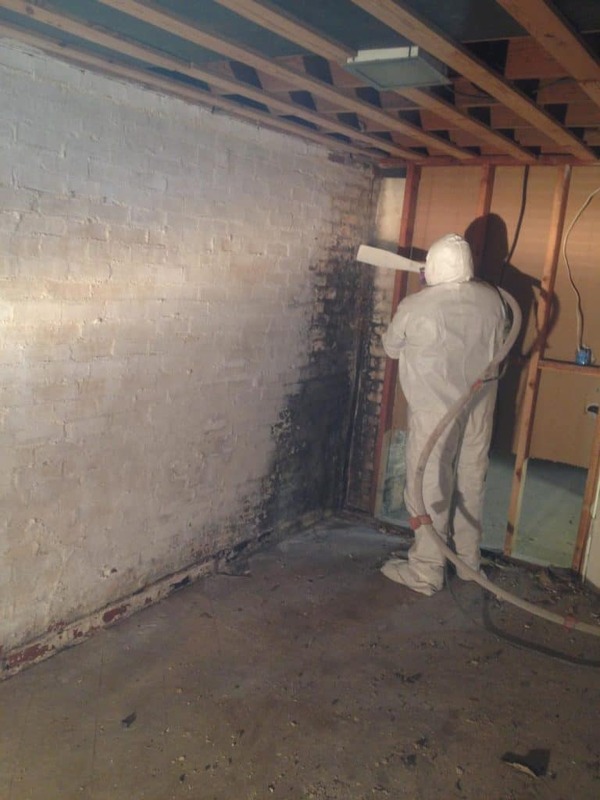 There are many basement mold removal services that can help you with the problem. In some cases, the professional mold remover usually uses the fogging method to inactivate the mold in the basement. After the mold colonies are dead, the next thing that you have to do is to remove the stain and rotting materials. Before you get on to cleaning the mold, you need to fix the source that makes your basement humid and damp. If possible, let fresh air circulate into the room as much as possible. You can use an exhaust fan or a dehumidifier to reduce the humidity of the area. Leaking pipe should also be one of the first sources that you need to check and fix. Mold is a living microorganism that would keep reproducing unless you terminate every single of it. To do this, you can use mold foggers and cleaners. 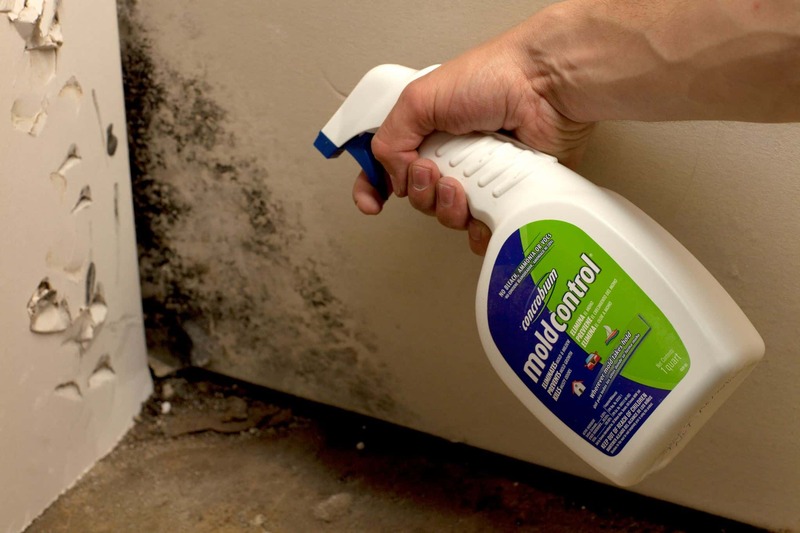 While bleach, vinegar, and hydrogen peroxide can be used for light to medium level of mold problems, heavier mold may need to be eliminated with Concrobium. Concrobium has a line of product that can kill mold and remove the stain it has made. The best thing about this product is that it does not have any bleach, ammonia, or other dangerous chemicals in the composition. It works by killing the mold on the surface and leaving behind an antimicrobial barrier that prevents the mold from growing back. An active mold would be likely to have spores that are ready to land anywhere and regrow, including your clothes. To keep your safety, use clothes that can be easily washed in hot water afterward, or wear clothes that you can throw away easily to avoid remaining mold spores. Eye and face protector and hand gloves are necessary to block the mold from getting inside your body. Remember that some molds can cause an allergic reaction. The ventilation should be opened all the time you spend removing the mold. If possible, use a fan exhaust to assure that the room gets enough air circulation. This way, there is less possibility of mold spores landing on other areas inside the room. Fortunately, if the mold in basement only affects a certain area, you don’t have to remediate the others. To avoid the mold spreading, you may want to seal the affected area with large airtight plastic. Getting rid of mold in basement sure need a lot of work especially if it affects a large area. If you do it with care and follow the step cautiously, the mold can be removed with household cleaning methods. Yet, you can always seek for professional mold remover to clean and do basements mold remediation to solve the problem.